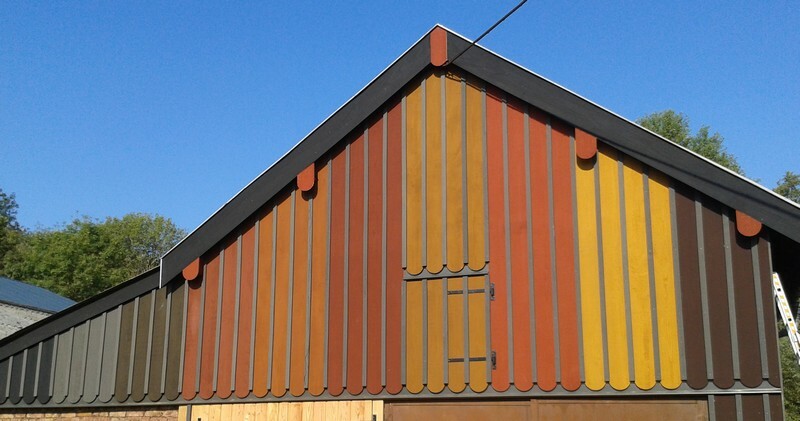 During the heritage fair that took place in Ecordal, we painted a cladding (renovated in Douglas by Vincent Guillame EURL GV BOIS) in the courtyard of the factory with a flour paint recipe that contained only natural earth colors and ocher. Mrs. Pascal Henrion was one of the visitors. She is an artist who, during the fair, sketched the “Moulin” in her books using pastel colors. You can visit the site to see her drawings by clicking here (click on the sketch to access Mrs. Henrion’s site).